When You Give, It Helps Us to Give! ​Financial giving can be divided into two categories: tithes and offerings. The Bible teaches us that we worship the Lord with our tithe, which is ten percent of our income contributed to the church on a regular basis. When we feel called to give over and above our tithe, we do so as an offering. Pay your tithes and offering electronically! 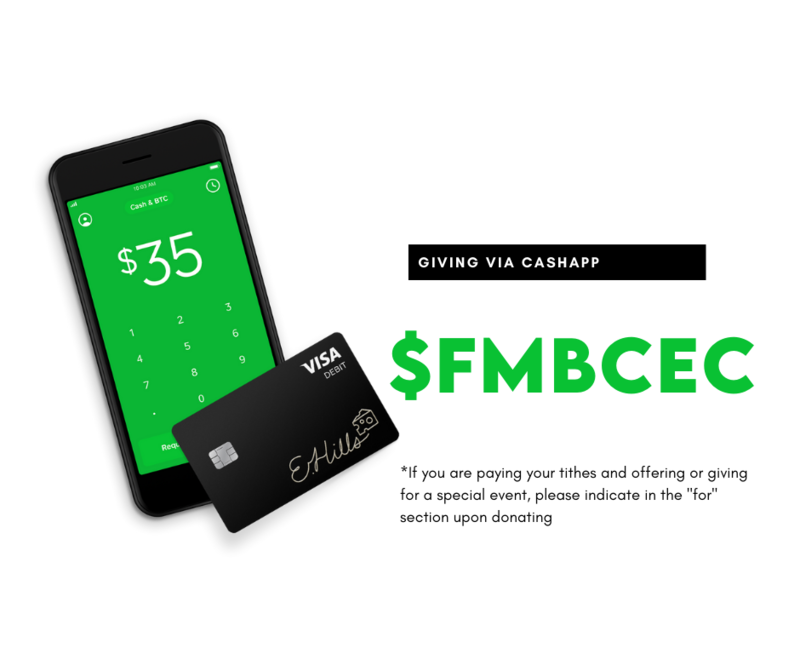 Paying your tithes and offering online is a convenient way to participate in your giving. You can opt to visit and pay every month or schedule a monthly giving! *If you are paying your tithes and offering or giving for a special event, please indicate in the instructions section when you donate. During service there is always an opportunity to give via cash or check. A very convenient option for those who travel frequently, out-of-towners, and those not quite comfortable with the internet. ​​We thank you for your contribution to our ministry through tithes, seed, and mission offering because it will assist us in reaching out to our community through mission, evangelism and programs that will help enhance the surrounding areas.